Clearly, the buzz for “UFC Fight Night 24: Nogueira vs. Davis” isn’t anywhere near what UFC 128 generated this past weekend. While skyrocketing superstar Jon Jones won’t be appearing in this Saturday’s show, the Gambling Gods still know the perfect way to make the night’s action a little more exciting. A thrilling light heavyweight affair between Antonio Rogerio Nogueira and Phil Davis will headline the Spike TV broadcast. 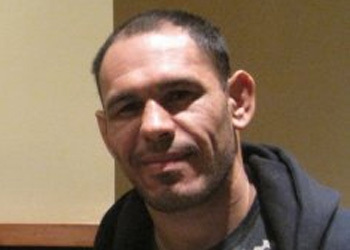 Little Nog was scheduled fight Tito Ortiz, but an injury forced “The Huntington Beach Bad Boy” off the freebie fight card. Davis was instantly dubbed Ortiz’s replacement. Key Arena in Seattle, Washington will host the show. The event marks the Octagon’s much anticipated debut in the state. Upset City Alert: Since we are in the middle of March Madness, Amir Sadollah is more than a 2.5-to-1 favorite to beat DaMarques Johnson. That’s an interesting line considering Johnson has won three of his last four contests.